Next week I’m headed to Memphis along with Mike Lydon, Joe Minicozzi, Gracen Johnson and Jim Kumon to lead our first ever Strong Towns Boot Camp. I’m not sure what our blog content will be next week as the entire week is going to be pretty intense, but we’ll try to give you some updates. If you are anywhere near the Memphis area, you aren’t going to want to miss this. You can get details for the evening lineup here. And wherever you are at, you can follow along on our Memphis2014.com website. If this event is a success – and I have ever anticipation that it will be a huge success – we’re going to be looking for communities across this country (and beyond, if it works) to bring this intense experience to. Stay tuned. I had to lead with this because it was very timely. After (humbly) taking my priest to task last week for his concerns over losing parking for a bike lane, Pope Francis weighed in with his thoughts. I’m not claiming complete vindication, but I hope this lessons my penance somewhat. Some of the greatest dangers standing in the way of a happy religious life are materialism and a culture that believes nothing is forever, he said. The Pontiff went on to say that religious men and women have to avoid the temptation of thinking “the latest smartphone, the fastest moped and a car that turns heads” will make them happy. Pope Francis revealed that it pains him when he sees a nun or priest driving an expensive car, and he praised the beauty of the bicycle, noting his 54-year-old personal secretary, Msgr Alfred Xuereb, gets around on a bike. It has been a couple of months since we were in Texas but, much like Arkansas that I wrote about earlier today, the conversation there continues. It means a lot to me that a group focused on downtown Arlington would be using our message to make their points. Please keep going. Bloomberg Business Week is reporting that some cities are now looking to parking lots as a natural place to increase revenues. For many of us, this is simply stating the obvious, something that has been sitting in plain site for a long, long time. Even more tragic about this sudden insight is when we pause to remember what was actually on those sites to begin with (hint: the tax base we now desperately need). I had one local council member tell me this week that our bombed out downtown actually needs more parking. I told him that 40% of our downtown is parking, roughly the same percentage of our budget that is aid from the state. He didn’t get it, I’m afraid. “From an economic standpoint, the cities are not getting the taxes that they should be,” said Klein, who has worked on transportation policies in Washington and Chicago. Parking lots are natural for development because there’s often no demolition involved and chances of running into environmental issues are lower. At the same time, Americans are driving less than they did eight years ago. From 2001 to 2009, the greatest decline was among people ages 16 to 34, according to a May report by the U.S. Public Interest Research Group. Thank you, again, to Kevin Klinkenberg for highlighting our work. The series I wrote on a World Class Transportation System is going to be turned into an e-book for all of you policy geeks out there, of which I am one, as soon as I get MoneyHall out the door. The simple reality is: all of us are going to have to come to grips with the fact that we can't continue to fund infrastructure as we have been since the Eisenhower administration. We simply don't have the money. We've been embarking on a historic experiment for a couple of generations now, and the bill is coming due. States with slower growth are the front lines in this regard, as they're dealing with the financial constraints today. 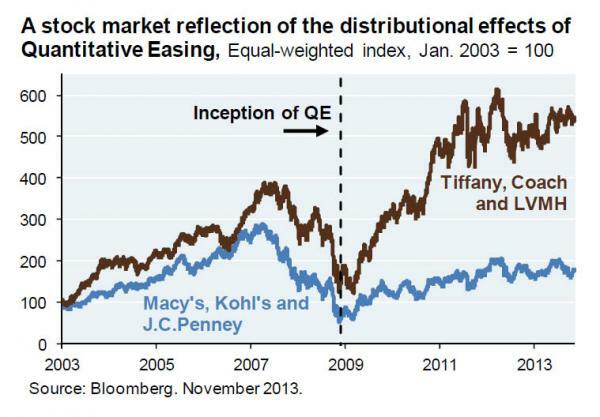 But the faster growth states will eventually meet this reality as well. In short: we've built far more infrastructure than we can ever afford to maintain without taxing ourselves into oblivion. A new mindset and approach will be needed. Someone linked to our blog in their comments section and so I was alerted to the site Raise the Hammer, which I kind of like. In his own words, Nicholas Kevlahan describes how our local streets are designed as freeways and how the predictable then happens: people drive at freeway speeds. We need more people raising the hammer and challenging the ridiculous assumptios behind the places we have built. Claremont likely has a design speed of around 120-130 km/h and is posted at 70km/h. Wellington is a 50 km/h street but can easily be driven at 100 km/h if there is little traffic. It is shocking that it is even possible to drive at 125 km/h on a city street like Claremont or Wellington! But this is what you get when the engineering design is based on that of a freeway with a one-way multilane design and limited access (like a divided freeway). A similar conversation is taking place in Dallas where the future of the I-345 is being questioned. Too many of my fellow engineers, of course, see this solely about moving cars in the same one-dimensional way that generals think about fighting wars or teenage girls obsess about hair, clothes and makeup. Rudolph Bush wrote in the Dallas News recently that the project needs to be about more than moving cars and he is absolutely right. Is it worth freeing one side of the city from that division and opening up the possibility for new development in that area? Yes, solutions need to be found for people who use I-345. But the entire tone of road defenders has been to cut the idea off from debate, to end discussion before it begins. The hint that anyone for this might be out of touch with the poor, or somehow racially insensitive, slams the door. This debate shouldn’t just be about moving cars. We know how to do that. It should be about the future city we build together. And by the way, the best advocacy website I’ve ever seen is about this project. Just incredible work. It is now pothole season in Minnesota and across other northern locals. Thankfully some, like the Wisconsin Gazette, are asking why we have no money to fix our roads but billions to build more. As Tony Dutzig of the Frontier Group suggested on Twitter recently, the policy seems to be “Fix it Last”. Last year Gov. Scott Walker allocated $3.3 billion in transportation spending, and the lion’s share of it went toward expanding highways, some of which actually have declining traffic, and building new highways where there’s not nearly enough use to justify them, Hiniker said. Meanwhile, Milwaukee and other urban areas of Wisconsin got the fuzzy end of the funding lollipop. Milwaukee wound up with only $2.4 million for street repairs last year, and while this year the reimbursements might rise by up to 4 percent, it’s not enough to address the magnitude of the problem, according to analysts. But Hiniker and others stress that Walker and his fellow Republicans can’t be singled out to shoulder the blame for the situation. Misuse of transportation funds to favor road builders is a bipartisan scam — essentially a legal form of graft that’s equally exploited by both Democrats and Republicans, they say. A report from Bridgewater Associates put a number to the obvious math this week when they reported that 85% of public pensions will likely fail in the next 30 years. That gives government employees 50 or old some pretty clear options. They can (a) plan for retirement without their pension, (b) hope they pass away before their pension goes broke, (c) gamble that they are one of the 15% noting that the study didn’t calculate the drag effect to the economy of 85% of pensions going broke or (d) start shoring up the finances of their community. My friends, we all have a stake in building strong towns. Public pensions have just $3 trillion in assets to invest to cover future retirement payments of $10 trillion over the next many decades, Bridgewater says. An investment return of roughly 9% a year is needed to meet those onerous obligations. Many pension observers make the claim pensions will achieve 7% to 8% returns. But even if that assumption is correct, which is unlikely, public pensions are looking at a 20% shortfall, Bridgewater says. A 4% return is much more likely, the firm says. All of you central government Keynesians who want our economy run by PhD will get mad at this oversimplification of Federal Reserve policy, but I liked it because I think it makes an important point. We wail and gnash our teeth over the gap between the rich and the poor and then adopt policies – often in the name of helping the poor and disadvantaged – that accelerates the gap. The greatest thing we can do for the poor today is to stop trying to prop up this Ponzi scheme economy and simply allow it to reset to something humane (and local). I’ll be speaking in Ontario in a couple of weeks, a place where they are now spending more on biking and walking infrastructure. Wait a second….this is Canada, right? According to the leaders here in my hometown of Brainerd, Minnesota, people can’t and won’t bike and walk because it is simply too cold here. Well, that’s not how they see it north of us. Bravo, Ontario, especially with the approach you have outlined (which is clearly NOT STUPID). The money, the first specifically set aside for biking in the provincial budget, will be for “quick wins” and pilot projects. Have an idea but no place to take it? Not feeling welcome in your own place? Want to plug in to something really exciting? Here’s one interesting option. MindMixer announced they are moving from Omaha to Kansas City, a fairly lateral move in my opinion but one that has some in Omaha lamenting the fact that they don’t have the one thing that they claim would have kept MindMixer there: a streetcar like the one they have in Kansas City. Remember what I wrote earlier about engineers, generals and teenage girls? It also too-often applies to transit advocates who think the train will solve all ills. It’s a complex world out there, friends, but the math here for MindMixer is pretty simple. The firm also was wooed with $1.6 million in state tax incentives. One city in Texas is hoping the state will allow them to drink their own wastewater (after treating it, of course). I guess if you want growth that badly, Texas. Personally, I would stop watering my Texas lawn and washing my big Texas truck before I’d drink my own pee, but that’s just me. They have their own priorities in the Lone Star State. The two lakes that serve Wichita Falls are 26 percent full. City leaders are also considering rare restrictions on outdoor watering for swimming pools and car washes. One of the most fascinating articles I have read this year was this one about the federal system for processing the pensions of federal employees. Just read it – it is almost surreal – and you will get a sense for how helpless and fragile we have become. 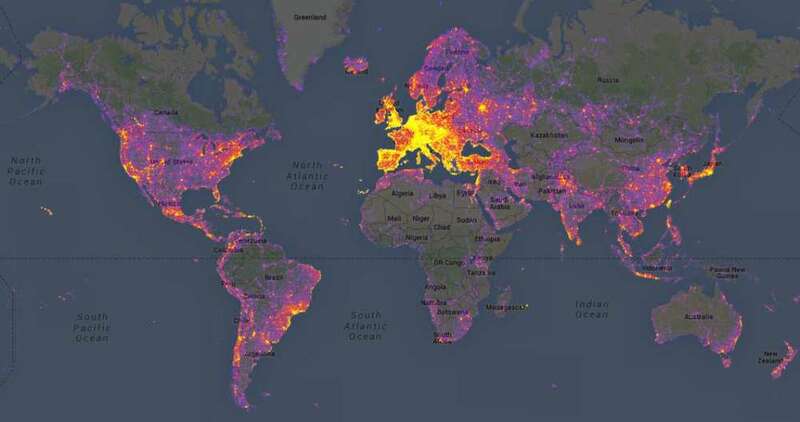 A brilliant map showing the most photographed places on earth. The landscapes hanging on my wall here at home were taken largely in Italy. They are of gorgeous urban places built by humans. What we don’t have hanging on the wall: the curb cut with the Arby’s and drive through Starbucks in the background. In fact, I don’t know if I live within two hours of an urban place worthy of being photographed. Maybe I do with some weird camera work, but I’m certainly not that talented. I love baseball and, since I’ve been there and done that, thought that this video was sheer genius, especially how they slowed it down to really feel the pain. I laughed for about ten minutes straight after watching it. I can’t embed it so you will need to click through. Worth it, I promise you. This weekend is Easter, the most important day of the year for Christians. I really love Lent and how it helps focus the mind on the things that are most important, particularly the teachings of Jesus and how they apply to our lives today. I continuously fall short of what I’m asked to do and, in light of my failings, found this video particularly challenging. Enjoy your weekend, everyone. Remember that the programming next week may be a little off with the Memphis Boot Camp taking center stage, but check back often and we’ll get you some good stuff to think about, talk about and share with others. The latest from Chuck Marohn – MoneyHall – is set to be released in May. Sign up to be notified when it is available on Chuck’s site, MoneyHall.org, and while you are there, check out Thoughts on Building Strong Towns, a great primer on Strong Towns thinking.